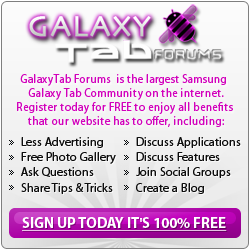 Thread: Tab 2 10.1 - WiFi Not Working, Says "Turning On..."
If you have tried all the things suggested in this thread and it doesn't work on multiple networks it probably needs to go to doctor Samsung. Can you get it connected to another location, like a public WiFi? That may not be the best test. You need to find a friend's WiFi or an open public hotspot at a coffee shop or any one of dozens of other option. Connecting to a phone can be tricky, the other options should be easier. We're trying to rule out a hardware issue. Same problem with my Galaxy Tab 2 WIFI. I am having the same problem too. My WIFI and bluetooth is both dead. Neither will switch on. I took the unit to a tablet repair shop and they could not fix the problem. They loaded a new factory image and also tried another tab 2 images but nothing worked! I am just going to trash this unit if I dont find anyone who help with this problem. There as been no help anywhere on the web. Never buy a Samsung tablet. They have short life spams! I give up on this unit!! Add me to the list - same problem - same failed attempts to fix. Also seemed to appear near the same time as the expansion micro-SD card communication failed. One cold re-boot did fix for about a week, but then this same (WiFi will not turn on and scan for networks...) failure. Additional cold-reboots did not fix.